We want the City and DWP to fulfill their obligation to our lake, land, and community. We want the reservoir refilled sustainbly, the banks modified to be more beautiful and support wildlife, the land behind the fences restored and accessible. We can't wait to participate in the Master Planning process! Sign on below and join us. 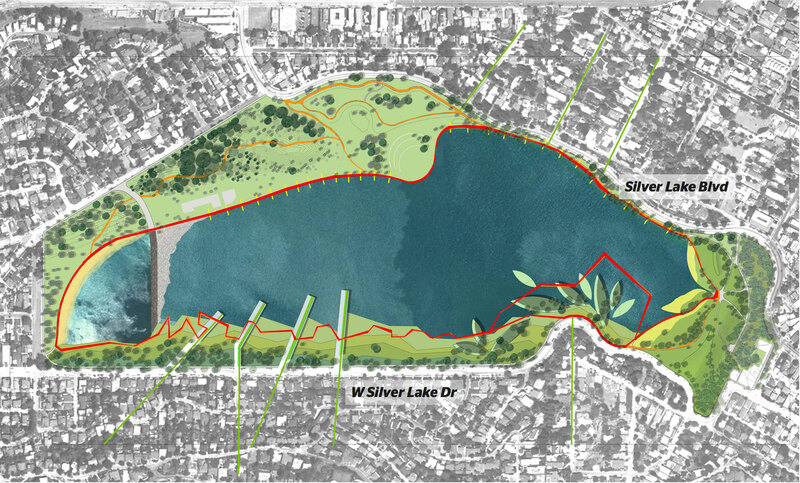 The Silver Lake Reservoirs system has been brought offline and will no longer store drinking water for Los Angeles. This creates an incredible opportunity for the City of Los Angeles, the Department of Water and Power, our elected officials, our design community, and for the residents of Los Angeles to create an incredible new public resource. We are looking forward to the launch of the new Master Plan process! Robert Soderstrom is a co-founder and President of Silver Lake Forward. He is the owner of Puck Creative group, an Emmy-nominated advertising agency in Los Angeles. He lives in Silver Lake with his family. Jocelyn Hayes Simpson is the Vice President of Silver Lake Forward. She is a film and television producer. She and her family live in Silver Lake. Catherine is a co-founder of Silver Lake Forward. She is the cofounder of CityGrows, a technology platform for local government and served as Vice President of the Innovation and Performance Commission for the City of Los Angeles for three years. She is a Silver Lake homeowner and frequent visitor to the Silver Lake dog park. Craig has worked in conservation advocacy and creative strategy for over 35 years and is a former President of the Silver Lake Reservoirs Conservancy. He is a photographer, writer and graphic designer, serving environmental, conservation, public art, institutional, health care, religious and non-profit clients. Rick is a long-time Silver Lake Resident and a partner at Corsini Stark Architects. He was born in Los Angeles and received his Master of Architecture in Urban Design from Harvard University and his Bachelor of Architecture from Cal Poly Pomona. His work has been published nationally and internationally, and in addition to over 20 years of professional practice, he has held faculty appointments at schools of architecture including Cal Poly Pomona, Woodbury University, and most recently, the University of Southern California. Gary is a producer and creative executive and a Silver Lake Resident. 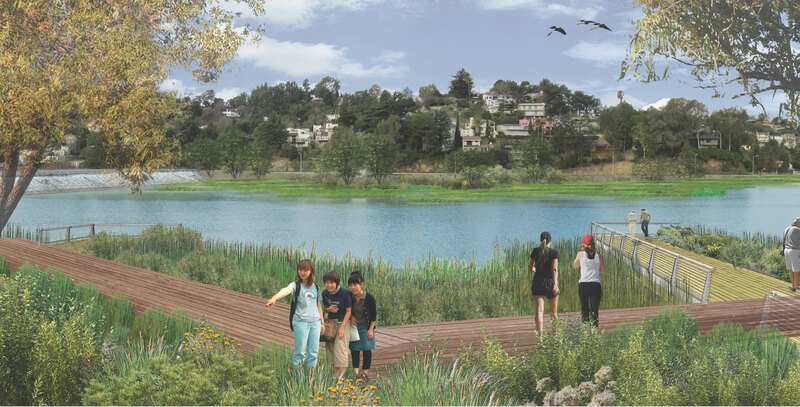 He developed the name for Silver Lake Forward's annual "Embrace the Lake" event. Tracy and Kramer are long time Silver Lake residents. Kramer is an Emmy-nominated and ASC award-winning cinematographer. Tracy is a photographer and consultant who is taking time off to spend with their young twins. Helen is a Silver Lake resident and parent. She works in information technology for financial services and is trained as an engineer. Gustavo is the Director of Young Invincibles, the largest millennial-focused advocacy and policy organization in the nation. He was the former museum director of the LA County museum, L.A. Plaza de Cultura y Artes, and he's also led a community foundation dedicated to nurturing classical music and performance artists. He is a passionate community builder and a fierce advocate for education, health equity, and the transformational power of art. He grew up in Silverlake. Moby is a musician and author, and is owner of Little Pine, an organic vegan restaurant in Silver Lake..
Elaine is a Silver Lake resident, attorney, and landscape architect. Schuyler is an environmental engineer who specializes in developing new environmental sensors, and serves as the Secretary/ Treasurer for Silver Lake Forward. His interests include circuit design, sensor systems, and data analysis for environmental systems.